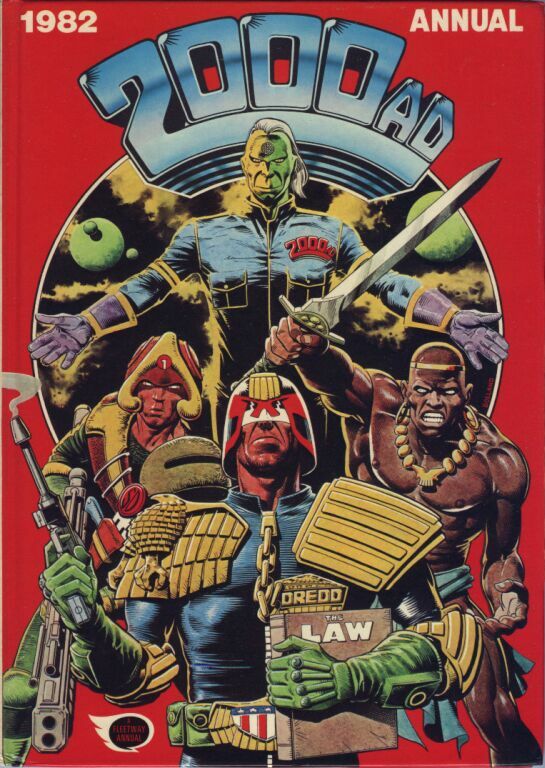 The first Mega-City Masters collection was one of the inaugural volumes of the Simon & Schuster-published 2000 AD line, presented as a potential starting point for Judge Dredd for American readers. One approach to an introduction, obviously, would have been to start at the beginning (and, as I recall, the U.S. edition of Complete Case Files 1 came out around the same time). 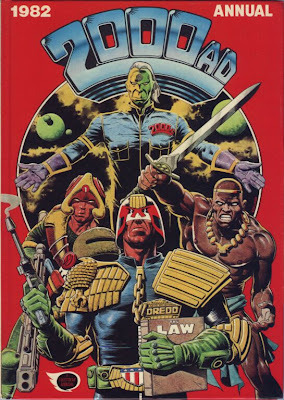 But Dredd isn't one of those projects like Y: The Last Man or The Walking Dead where everything's lined up and ready to go on page one. It takes a while to get up to speed, and the curve is even steeper for someone unused to the particular rhythms of British comics from the '70s. 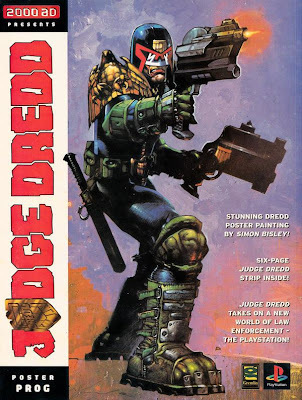 Another way of introducing a long-running series to a new audience is to showcase a particular star creator, which is effectively what the DC reprint line a few years earlier tried to do with Dredd Vs. Death (which collected a bunch of Brian Bolland-drawn episodes) and Judgement Day (as far as Americans were concerned, Garth Ennis was the next biggest marquee name who'd contributed a lot to the catalogue). The "let's ease 'em in with Bolland" technique, actually, has also been adopted by Eagle Comics (back in the early '80s) and by IDW's forthcoming collection. 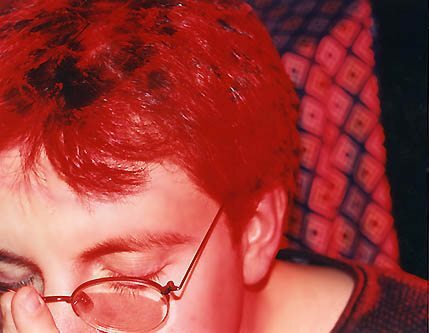 A third approach might have been to assemble some kind of greatest-hits collection, with some of the best-loved episodes; that worked decently for The Spirit a few years ago. 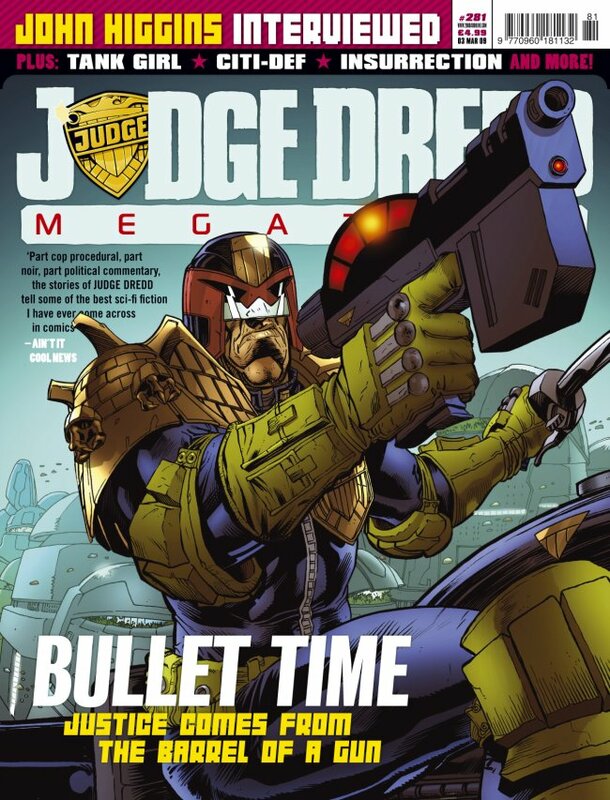 (Prion Books even put together a volume called The Best of Judge Dredd some time back, although it's very strangely weighted: a ton of material from the first four years, then the first two P.J. Maybe stories, "America," a long leap forward for "Mrs. Gunderson's Little Adventure," and finally four episodes of "Origins.") The obvious difficulty with that idea is that a lot of the best Dredd stories are either really long or context-heavy or both. Even if you're not going to shoehorn all of "Necropolis" into an anthology, you can't just drop "Letter from a Democrat" or "Leaving Rowdy" or "Tea for Two" on a new reader and leave it at that. The solution arrived at here is a combination of angles two and three. Mega-City Masters 01 is an overview of about thirty years' worth of short stories, all but one of them one or two episodes long, drawn by artists who mostly have some degree of American name recognition. So, beneath a cover by Tim Bradstreet that looks exactly like his Punisher covers (couldn't he have at least tried to come up with a background that looked more like Mega-City One's architecture than like a 20th-century bridge? ), we get stories drawn by the guy who drew Watchmen, the guy who drew Preacher, the guy who drew The Killing Joke, the guy who drew X-Men, the guy who drew The League of Extraordinary Gentlemen, the guy who colored Watchmen, etc. As for the episodes we haven't covered before (we're up to Prog 1012 now, believe it or not): John Wagner and Trevor Hairsine's "The Rise & Fall of Chair Man Dilbert" is a cute satire of the mid-'90s art scene, and the scene with Bishop Desmond Snodgrass at the beginning is a nice little follow-up to his "outing" in Prog 964's "Dead Simple." (Dilbert Bowels would be higher on the list of ridiculous Wagner character names if he hadn't already given us a Dilbert DiMaggio in Prog 949.) The single-episode gag strips here (and the single-episode tragedy "The Runner") don't do a lot for me; Jock's art on the one-joke "Crossing Ken Dodd" is the work of a very good artist who hasn't quite found his voice yet, and I suspect that the American reader who'd know who Ken Dodd was without looking him up would be rare indeed. I really like Al Ewing and Colin Wilson's ludicrously violent "Magic Bullets," too, and I'm psyched that Ewing's apparently going to be writing a batch of Dredd stories post-"Day of Chaos." The main plot is a variation on the familiar "rich guys kill for thrills" story ("The Hunters Club," etc. ), but the subplots and callbacks ("la placa!") feel like they're getting a boost from the strip's history without just hauling out favorites again. It's really funny, too, and the best joke--Dredd failing to offer Bennett the consolation of the same thing having happened to him once upon a time--strengthens the real core of the story, the relationship between the two of them: Dredd's not testing his rookie any more, he's giving his protégé a hand, praising him for his good calls and nudging him when he needs it. Next week, we head back into the Cursed Earth for The Hunting Party.